The best thing you can do for your pet’s wellbeing. Diversity Auto Films is made up of animal lovers. As winter fades and spring and summer approach, we begin to let our clients know about the heat reduction benefits of window tinting. We take our pets out into Victoria’s beautiful beaches and parks in the summer time, but trips around town inevitably take us somewhere that pets aren’t allowed. Even if it is just a quick stop to fill up with gas, grab a bite to eat, or hit the bank machine, the danger for your pet inside a hot vehicle is both sudden and severe. Lightly tinted windows in the rear of the vehicle where your animals are resting can easily block 40% of the sun’s radiant energy. When we get into darker tints or our Premium Ceramic Tint that number climbs well above 80%. That means vehicles with tinted windows will essentially never climb over 90 degrees, and will stay comfortable for your animals even in the hottest months in Victoria. All of this can be avoided by reducing the time you leave your pet in your vehicle, never leaving them unattended, and by having your windows tinted to drastically reduce the amount of radiant energy entering your car. We have some FAQ from pet owners below to give you the inside scoop on how window tinting can keep your smallest family members safe. 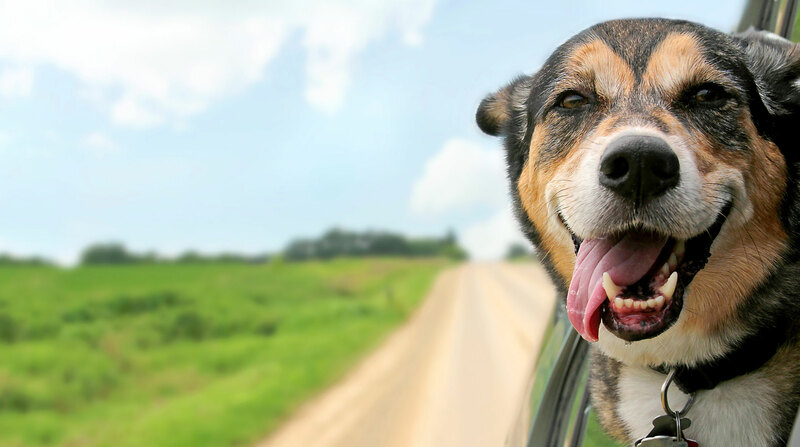 Are you ready to pet-proof your vehicle for summer? Just give us a shout, we would be happy to help you. Basically, window tint is designed to reject the thermal rays that make sunlight increase temperature. Diversity’s window films are spectrally-selective, meaning that it only lets certain wavelengths of radiation pass through. By blocking the wavelengths that create heat, and passing the ones that create natural light, solar window tint acts as a filter that prevents interior heating without blocking the illuminating features of the sun’s rays. Does Window Tint Keep My Car Cooler? Window tinting definitely keeps vehicle interiors cooler. The problem with car windows (the windshield in particular) is that they are designed to give you a wide view outside, but this also lets massive amounts of solar energy inside, heating your car to uncomfortable temperatures. Vehicle window tinting can filter sunlight and keep your interior cooler, and this can even be accomplished with windshields since solar tint doesn’t have to be dark in shade. What if I see an animal in distress in a vehicle? If you see a dog in a car on a warm or humid day who you believe may be in trouble, ask nearby stores to page customers. If the dog is in distress call our Animal Cruelty Hotline at 1 (855) 6BC SPCA (1-855-622-7722). The call centre is open seven days per week: Monday to Friday from 9 a.m. to 5:30 p.m. and Saturday and Sunday from 9:00 a.m. to 5:00 p.m. If it is an animal emergency outside of these hours, please contact your local police department, RCMP or animal control immediately.